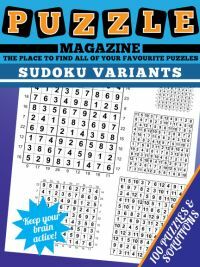 If you've purchased the large print wordsearch magazine then we hope you're enjoying the puzzles. 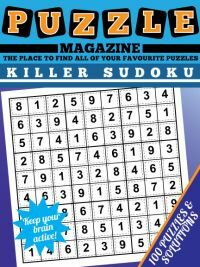 Whilst word searches are traditionally seen as easy, it is still useful to have a method that you employ whilst solving the puzzles. The main strategy some players like to use is to be methodical in their solving. And many will tend to work from left to right first, looking for words that are placed horizontally in the grid forwards or back. Then to work through top to bottom and find those that are placed vertically. That's because it is easier for the eye to trace across straight lines, so words that are placed horizontally or vertically often reveal themselves first. Just by looking across the first line of the puzzle displayed in the image on this page for instancely the word 'flowers' instantly reveals itself to the eye. And what of finding diagonals? 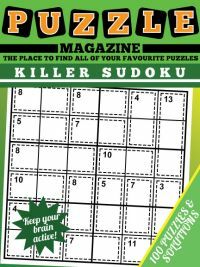 Well these are often quite tricky, and even if you let your scan eye randomly across the grid you may miss words and then waste time scanning the same part of the puzzle several times with your eye. 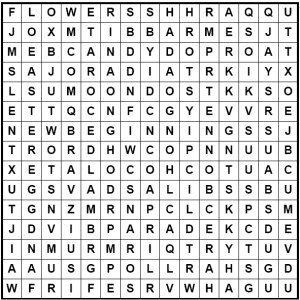 Therefore the ultimate solving technique or strategy for wordsearch that will always work if it is both a valid puzzle and you apply the technique carefully (requires concentration) is this: start at the top left of the grid, and scan across each row from left to right looking for each occurrence of a particular letter from a word you are trying to find. Imagine you are trying to find 'chick' hidden diagonally in the grid. Then you would pick the least common letter: here 'K'. 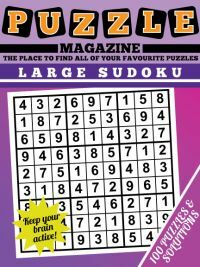 Next, you would scan through the grid row by row starting at the left hand edge of each row, looking for a 'K'. Then when you find one, look at the eight cells around it, and look for an 'C' which is the letter adjacent to the 'K' in 'chick'. Repeat this process until you find all the letters of the word consecutively in the grid, and there you have it: an exhaustive search for a word, but one that is guaranteed to turn up where it is in the grid without having to check the solutions! See how quickly you can find 'chick' in the grid using this technique. 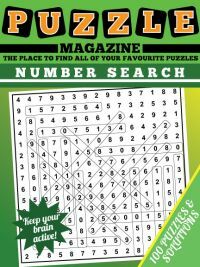 Now that you've read the strategy tips, why not enjoy 50 themed wordsearch puzzles in the Large Print Wordsearch Magazine.